Dr. Joe Rubino, CEO of the Center For Personal Reinvention, is acknowledged as one of the world’s foremost experts on the topic of elevating self-esteem. He is a life-changing personal development and success coach on how to restore self-esteem, achieve business success, maximize joy and fulfillment in life and productivity. Listen to the radio show on April 22. A bout once a week, I take a look at my upcoming calendar… Especially where I know I’m going to be meeting a lot of people… And think about the interesting folks attending, speaking, or near to the venue. I’ve read about networking experts doing this, and even talk to people who make a practice of it, but rarely do I find someone this committed to excellence in everything he does. Here is one of the posts I liked very much today. In a few weeks I’m headed to Phoenix, AZ to speak at ICON14. I’m doing a breakout and when I’m done I hope to take some notes from folks like Seth Godin and Simon Sinek on the main stage. After working with Infusionsoft for the last few months it will be my first time to meet the team that’s been such a huge help to me as I figure out how to be an entrepreneur. The whole talk would be too long for a blog post, but I will share one of the ideas that I think drives social media. It’s a simple word really, but I swear it took me a long time to learn. Do you know how you do that? You spend time with them. That’s it. That’s the bottom line. I lost touch with that when I got busy and stopped connecting as much as I used to on Twitter. You can track my ability to understand how to help people with social media based in part on how often I respond to tweets. In the last 7 months I’ve tried to increase that and I feel more connected than I have at other times. There are a lot of ways to respond with social media: twitter, facebook, blog comments, instagram, linkedin, etc. For me, it’s Twitter. The second part of social media empathy is “acting on it.” If you know what someone needs and don’t act on it, you’re using “media,” not social media. You can take and take online only so long until people figure out you don’t care about them. You’re not here for them. You’re here for you. Eventually that catches up with you. They take time and hustle. Want to serve people with social media? Understand what they need and act on it. Heather Vale Goss interviews filmmaker Brad Weinman and pioneer podcaster Cali Lewis in the NMX Lounge at NAB, Las Vegas, for Profitable Social Media and Performance Marketing Insider. Cali was working on her GeekBeat.TV show, and Brad was talking about his expertise, crowdfunding. With over 30 feature films to his credit, Wyman has worked with an impressive roster of A-list talent, from Reese Witherspoon and Charlize Theron to Matthew McConaughey and Cristina Ricci. His impressive 25 year career boasts the Oscar winning MONSTER. 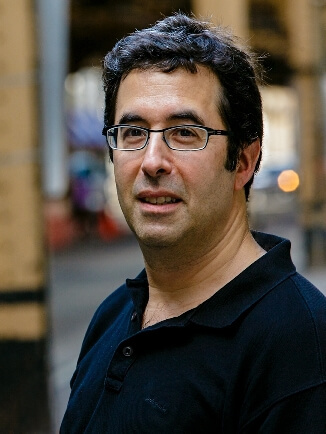 He is now Chief Crowdfunding Officer at FundAnything. Cali Lewis has become a household name in the tech industry and her podcasts have been viewed hundreds of millions of times over the last eight years. She’s also a noted industry commentator with regular appearances on BBC, CNN, FOX, ABC, NBC, MSNBC, Sirius, and as both a keynote speaker and panel participant at industry events. In this fun interview, find out about some of the cool new technology that excites Cali and Brad, what got Cali into podcasting in the first place, why it’s cool to be a geek, how Brad “gets the money,” and more. 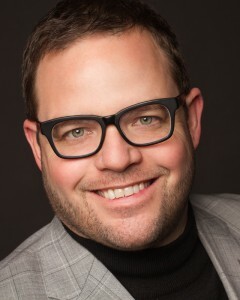 Jay Baer is the founder of ConvinceandConvert.com and host of the Social Pros podcast. 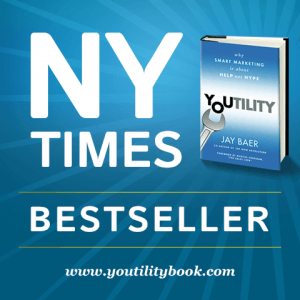 Known as a hype-free social media and content strategist and speaker, he is also the author of the New York Times bestseller Youtility: Why Smart Marketing is About Help not Hype. Jay has consulted with more than 700 companies on digital marketing since 1994. He was named one of America’s top social media consultants by Fast Company magazine, and the Convince and Convert blog is ranked as the world’s #1 content marketing resource. An active angel investor, he’s also involved in an advisory capacity with several social media and content marketing start-up companies. At Convince & Convert, he oversees big picture ideas for corporate clients, helps agency customers understand and profit from social and digital services, and spreads the gospel of social and content acceleration with dozens of speaking engagements annually. Convince & Convert is not an agency but social and content accelerators. They help you get better at social media and content marketing through audits, strategic planning and ongoing advice and counsel. They work with leading companies and agencies to take their social media and content marketing prowess from good to great. In the past year, they’ve completed projects for Wal-Mart, BMC Software, Caterpillar, Columbia Sportswear, Billabong, Visit California, Wyoming Office of Tourism, Petco and many more. His second book, “Bounce! Failure, Resiliency and the Confidence to Achieve Your Next Great Success”, shows what it takes to come back and develop true business confidence. It has been translated into Korean and German. His third book, “BAM! Delivering Customer Service in a Self-Service World” shows how customer service is the new marketing. His fourth book, Small Town Rules: How Small Business and Big Brands can Profit in a Connected Economy shows how when every customer can talk to every other customer, it’s like living in a small town: Your reputation is everything. His fifth book, “How to Get Unstuck: 25 Ways to Get Your Business Growing Again” will be released in 2014. Barry is a nationally recognized speaker on small business who has given hundreds of presentations to audiences ranging in size from 20 to 20,000. As a member of the Entrepreneurship Hall of Fame, he has also taught entrepreneurship as an adjunct professor at the Illinois Institute of Technology. He has appeared on many TV and radio programs such as CNBC’s The Big Idea with Donny Deutsch, MSNBC’s Your Business and NPR’s The Tavis Smiley Show. He hosts his own radio show, Business Insanity Talk Radio, and writes regularly for the American Express Open Forum and other online and offline periodicals. The study, which was conducted by researchers at the University of California, Yale, and Facebook, examined statuses on the popular social network with a particularly positive or negative emotional bent, as identified by algorithm. The researchers first proved that rainy days caused fewer positive statuses and more negative ones—even when the program eliminated statuses explicitly about the weather. During a rainy day, they found, a city’s number of negative posts will increase by 1.16%, and positive ones will decrease by %1.19. We all expect to have our opinions influenced by peers on social media, and it seems that their moods may sway us as well. If your newsfeed is full of grousers, perhaps it’s time to find new (Facebook) friends.